midimux talks MIDI to your Mac and Windows Pc - using the standard usb to lightning or 30 pin cable. With midimux, you are no longer forced to rely on wifi-packets or external hardware to communicate MIDI data between a Mac/Pc and an iOS Device. - control iOS apps with hardware controllers that are connected to your Mac/Pc. - sequence and play iOS apps using a DAW running on your Mac/Pc. 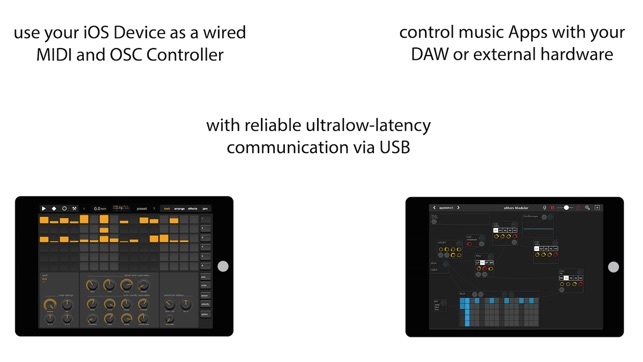 - control Mac applications or hardware connected to it, using Lemur, TouchOSC or any other app that uses MIDI. - use iOS apps to play and sequence hardware instruments that are connected to your Mac/Pc. 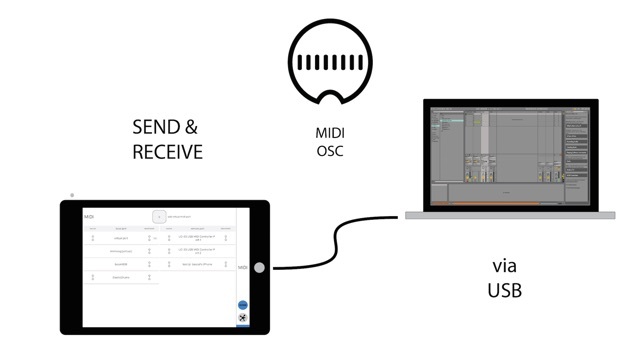 - create virtual MIDI ports on the iPad/iPhone that can be mirrored to the Mac/Pc or other iDevices. - connect more than one iOS device to the Mac/Pc - and send MIDI data between them. all this wired - via the simple usb to lightning/30 pin cable. In short: midimux creates virtual copies of MIDI devices connected to the other side. In long: If you have a MIDI device connected to your Mac/Pc, midimux will create a copy of it on the iDevice - and thus allowing other apps to talk to it directly. Any byte of MIDI received by the MIDI device on the Mac/Pc will be piped to and received on the virtual copy of that device on the iOS device - and is then usable by its apps. Data sent out by apps to the virtual copy on the iOS device will be piped back via usb, and then sent to the real device on the Mac/Pc. The same is true the other way around. 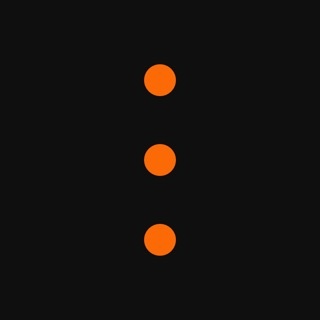 If an app creates a virtual MIDI port (e.G. Animoog), midimux will create a copy of that port on the Mac/Pc, naming it 'Animoog @ iPad'. - Creates Mirrors of all MIDI devices that are connected to the computer on the connected iOS devices. 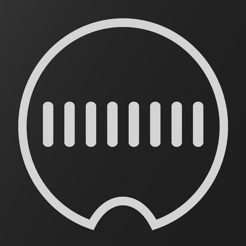 - Creates Mirrors of all MIDI devices that are connected to the iOS devices on the Mac/Pc. - Lets you create custom virtual Ports that can be used by both sides of the connection to communicate. - does it all via a wired usb connection - using the standard charge & sync cable. - works on all iDevices from iOS 7. To work, a lightweight server app has to be installed on the Mac/Win. Don’t bother emailing support, nor asking questions via their community board you will just be frustrated. It’s a shame. I waited and waited, I wanted to see if something would change before I finally wrote a review. I speak from years as a musician, composer teacher with academic degrees in computer music. I’m not a noob. This is just sad. I understand app builders/developers don’t get a huge payout for their hours of effort, but if you put your work out there and represent it to be a tool for the craft-act it. There are a plethora of issues from the app side, server side, and plugin side. Inquiries have been sent for all with no response. If a tool as this was supported, continued development and above all worked, I’d pay $50 for such an important tool. Anyone? Someone needs to pick up the mantle soon; we need a viable replacement. Needed to switch between Mac VSTs and iOS app sounds and had to rely on wireless or changing usb cables. Couldn’t make the changes quick enough due to having to reset issues. 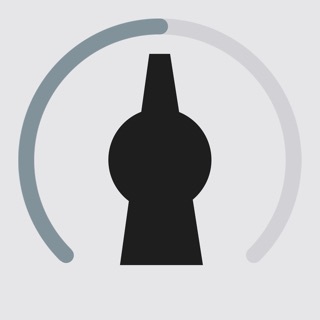 This free app reduces it down to muting the volume on a device and un-muting the other. No batteries or other hardware if you have two USB ports on your Mac. Set up was a breeze but this is only day 1 so I haven’t load tested for any period of time. Works well under Windows 10... if you know how to set it up. Although musicIO worked fine on my mid-2010 iMac and Mac OS X Yosemite, it never worked properly on my Windows 10 machine, as it would constantly crash out FL Studio 11. When I found that Midimux was available for free, I jumped at the opportunity and downloaded it right away and, regarding my Windows 10 computer, I'm glad I did. Linking MIDI Designer with FL Studio could never have been easier or stabler than with Midimux.